Recently, I got some very generous advice from Jeff kauck, internationally acclaimed food photographer whose work I discovered after reading an article in Popular Photography. After exchanging a few emails and looking at my photographs, Jeff encouraged me to work using only existing light. Now I haven't used a flash for a long time, but I do have my kitchen lights on when I photograph the meals I make. By turning them off, putting my camera on a tripod and shooting with just the existing light from the north facing window over my counter, I could achieve the true colors and beauty of the food without the orange glow caused by tungsten lights. So, these pictures are shot that way (except for one). The hardest part was getting used to using my trip-pod, since I'm used to contorting myself to get different angles. Practice, practice and more practice. It's so exciting to try new things and see where they take me. Which tonight, is to the Netherlands. A constituent country of the Kingdom of the Netherlands, known in it's entirety as Holland, the country is located in north-west Europe, with parts in the Caribbean. The country borders the North Sea, Belgium and Germany. 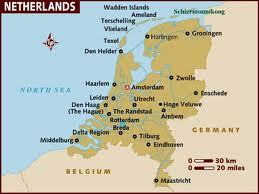 Both the people and their language are referred to as Dutch. In 2010, the the BES Islands, Caribbean Netherlands became part of the the Netherlands after the dissolution of Netherlands Antilles. Much Dutch cuisine is closely related to French culinary traditions, but also has it's own unique culture. Fishing, farming, agriculture and raising domesticated animals are all common to the culture. Depending on the region, the food varies somewhat. To the north-east, meat and game, sausages, cheese and pastry are common. Coastal regions rely on seafood as their source of protein, while to the west and south, dairy, cheese, rich pastry, butter and cream can all be found. Stampoot is a traditional Dutch dish that is usually made of potatoes and any other vegetable that happens to be available. I used celeriac root because I love the taste and don't often cook with it (although I think I will now). I served it with roasted lamb and steamed spinach. Peel the potatoes. Peel the celeriac using a knife to cut the thick skin away until you are left with only creamy white flesh. Cut the potatoes and celeriac into similarly sized pieces for even cooking. In a large pot, boil the potatoes and the celeriac for 20 minutes in salted water until tender. Drain thoroughly and mash with a potato masher or ricer. Add the butter and mustard and season to taste. Stir through the celery leaves just before serving. Serve as side dish, or top with smoked pork sausage and gravy as the main course. okay, I just blogged celery root too...scary how mentally connected we are :) this looks awesome, and I need photography help too so thanks for the advice !!! My husband and I were just visiting friends in Holland last week. Our friends who are living in Rotterdam cooked us this dish, but with the more traditional endive rather than the celery root. But I love the idea of this recipe. I can't wait to send this to my friend. I know she'll get a kick out of it. Thanks so much for connecting, Molly. I'd love to hear from your friend about how authentic she thinks my version of the dish is!